Vojtěch Semerád studied the viola at the Prague Conservatory in the class of Karel Dolezal. 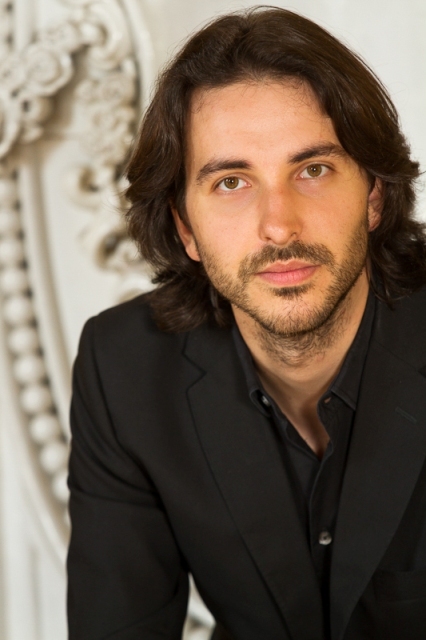 Following his studies of the baroque violin in Paris, at the Conservatoire national supérieur de musique et de danse with François Fernandez, he has been focussing on baroque repertoire and has performed with a number of period ensembles in the Czech Republic and abroad. In 2011, he was finalist of the prestigious Telemann-Wettbewerb in Magdeburg. As a member of ensemble Collegium Marianum, Vojtech Semerad performed under the leadership of Andrew Parrot, Peter Kooij, Sergio Azzolini and Benjamin Lazar. He has given concerts in prestigious festivals all over Europe, such as Tage Alter Musik Regensburg, Bachfest Leipzig, Centre de Musique Baroque de Versailles and Pražské Jaro. As a soloist and chamber music player he has appeared at prestigious venues and festivals around Europe, including Théâtre des Champs-Élysées, Palau de la Música Barcelona, De Doelen Rotterdam, Tage Alter Musik Regensburg, Bachfest Leipzig, and Prague Spring. He regularly collaborates with ensembles such as Le Poème Harmonique, Les Folies Françoises, and Les Agrémens. He has participated in recordings for Deutsche Gramophon, Naïve, and the Czech label Supraphon, and his performances have been broadcasted on the Czech TV and Czech Radio. After graduating from Charles University, Prague, where he specialised in Choirmastering of Church music, he studied Gregorian chant with Louis-Marie Vigne in Paris and continued with post-gradual studies at the Pontificio Istituto di Musica Sacra in Rome. In 2008 he founded Cappella Mariana, of which he is artistic leader, a unique vocal ensemble in the Czech Republic specialized in the music of Renaissance polyphony. Besides concert activities at home and in abroad Cappella Mariana organizes the regular concert cycle Lenten Fridays.